This is the third collaboration featuring Groove Inc and Tokidoki, which isn't much of a surprise since Groove Inc is the official distributor of Tokidoki products in Japan. 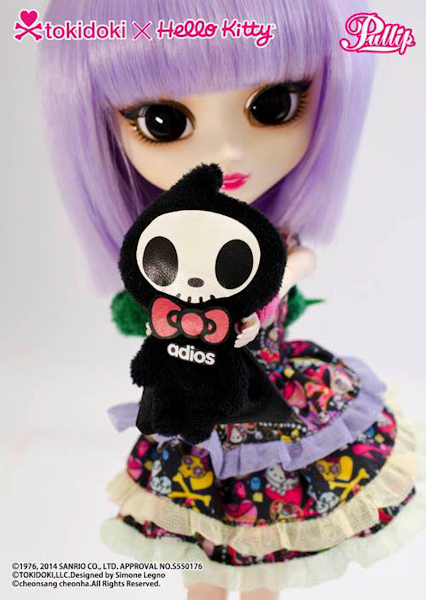 So I think its a safe bet to say, that we will be seeing a lot more Tokidoki inspired Pullips. I found it funny and a bit annoying that Groove decided to release the exact same doll but wait . 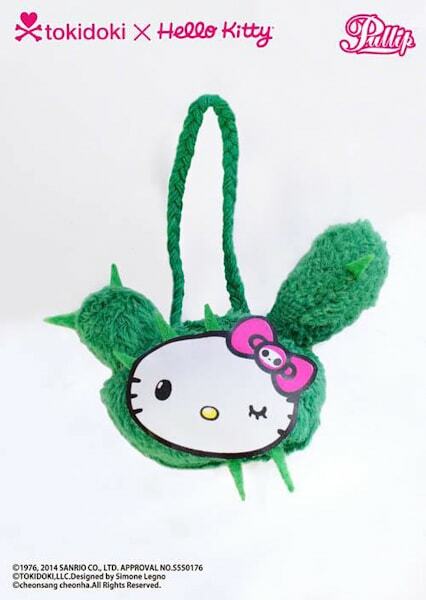 . . she will come with 3 extra accessories which include a Hello Kitty cactus bag, Adios plushy, and a stylish umbrella. By adding these 3 items Groove has labeled her as the TOKIDOKI × HELLO KITTY Violetta Special Ver (SP)! I know why Groove made this decision (money) and I understand that they are a company, but I wasn't too happy about this at all! I think it would've been beneficial to the fans and just plain better if Groove simply included these extras with the regular version since the regular version comes with absolutely no accessories. 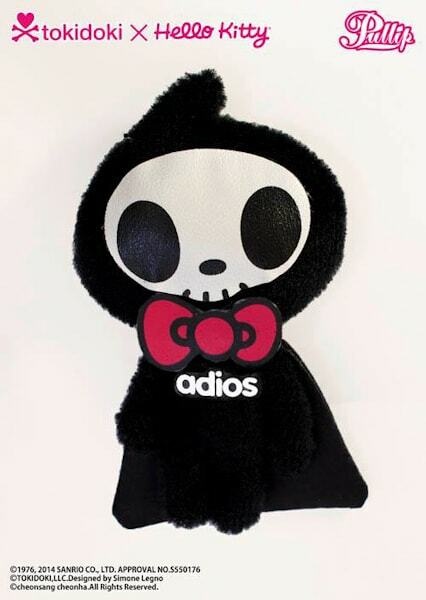 But now they decided to sell them separately or I should say market a Tokidoki doll as a Special Version ? Not cool . .
Anyways, the SP version will costs an extra ¥4000 roughly $40. At this time, you can only purchase the SP version through Groove's Rakuten shop (Groove states that the SP version is limited to their shop only) but if you remember Groove once told us that Pullip Kuhn & Pullip Ally were only going to be limited to Groove stores, but well . 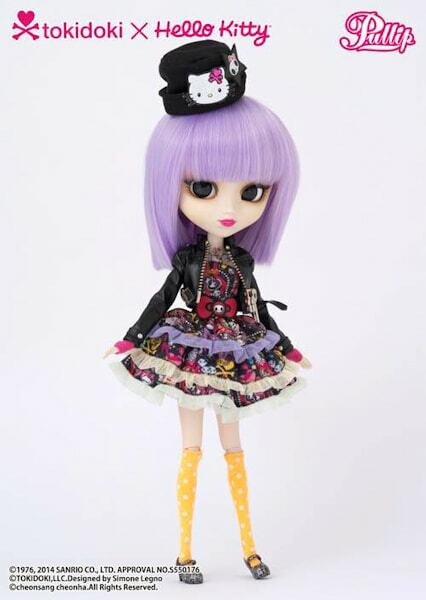 . . we all know what happened there, eventually other Pullip retailers where able to sell these Groove shop only dolls. Umm, I can't really ask you what you think of this Pullip Violetta, since she is the exact copy of herself xD but what do you think of the special accessories, do you like it, do you think it adds extra value to the doll, and do you think it's worth the extra cost or not? Initially in pics I thought this doll lacked that special something. Then I watched Scarlett’s video review, and wow, it seems like such a rip off. It’s obvious how rushed she is, and yet because it has a name they want to slap a huge price tag on it. They could at least have given her multicolored hair like the other 2 dolls or given people a way to secure her hat to her head. I knoooooow!!! I understand your frustrations. This is what causes me to be sooo upset. I mean really a higher price tag just because of the name alone Tokidoki/Hello Kitty, for a doll?!? 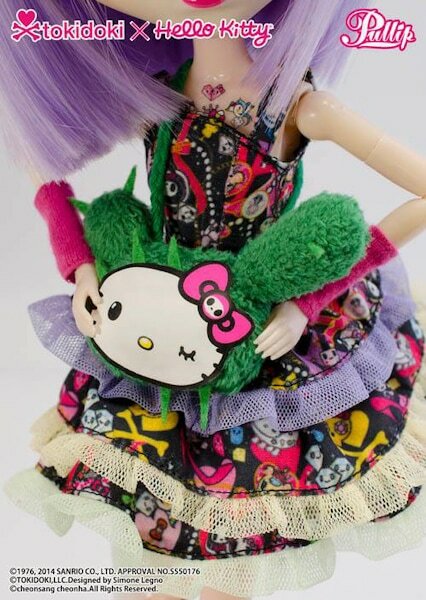 That’s very true, I think both fans of Hello kitty and Pullip will really appreciate this doll. Violetta is very pretty but why does it have a special version that is not special? Only three items and a very expensive price! I like the umbrella, bag and doll but I won't pay 4000 yen extra for it. Its sad that the normal version have no items. I know, they should’ve at least included something with the normal version. A plush, or a cute purse, anything would’ve been great instead of nothing. 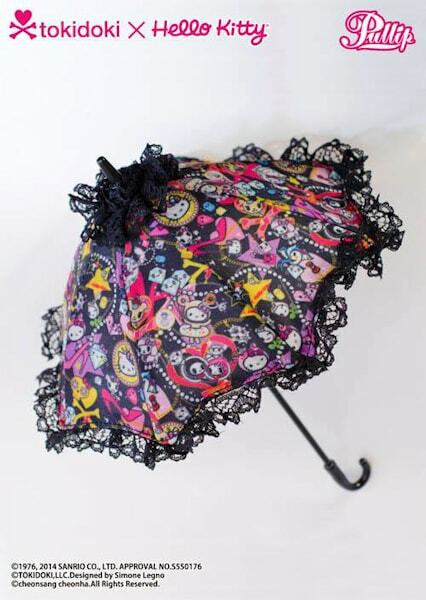 The umbrella is really cute (I love it)! Because I’m like you . . . I won’t be paying an extra 4000 yen for it. releasing too few original designed doll. This is the reason why I get so frustrated with their latest doll announcements. It’s crazy how many collaborations they did this year and like you stated the prices are steadily increasing. 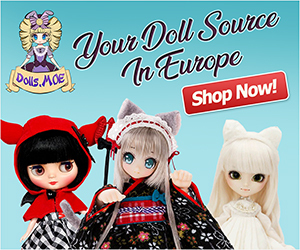 Collab or non collab, the price point for Pullip is getting too expensive. Also I fear for the other Pullip family members. Back in the day Pullips used to be released as part of a series with Taeyang, Dal, Isul and Byul. Groove no longer makes collections like these. Also I find it so strange that in the month of April, Groove released 4 Pullips and only 1 Dal?!? I didn’t even factor in the 2 make it own body kits (tanned and fair) which will be released in April too. 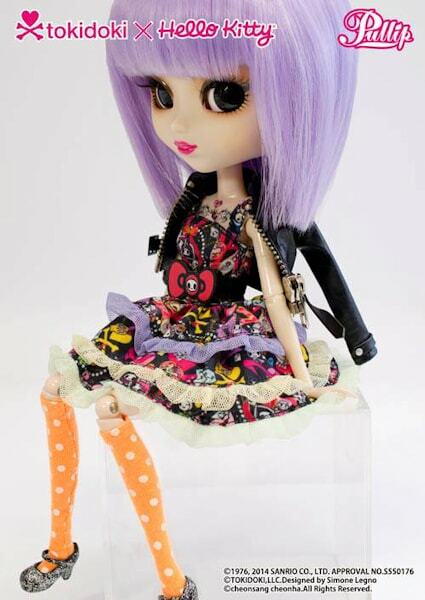 So in the month of April alone, we will have a total of 6 Pullip doll releases. Where are the other members? Seriously, Kat! What are they doing? Okay, let me preference this by saying I wrote this a week ago and let it sit & simmer because I was livid when I heard and then saw this doll. I literally, blew a fuse. What are they doing here!! Why are they disrespecting the fans like this with an obviously after thought doll? Seriously, 3 accessories and that makes it special . . . are you freakin kidding me right now. Okay, okay you think I’m being too hard on them, right? You are free to have your opinion and I am free to have mine. I been around the block a few times & I am also a consumer of good (essentials and non-essentials) but these limited, special releases are a joke let’s be honest here. These are not limited and they are not special period. I get it. A business needs money to keep it in business but what Groove is doing to their long time, loyal fans is criminal. As Judge Judy says don’t pee on my leg and tell me it’s raining. 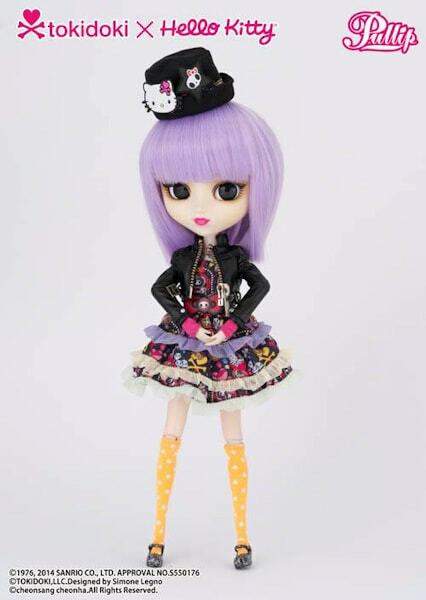 Don’t call this special or limited just call her Pullip Violetta TOKIDOKI x HELLO KITTY and end it there because long time fans know those “extra” accessories would have been included back in the earlier days of the Pullip brand.